I was researching how to automatically backup my computers online… and was looking for info on how to backup directories using ftp when I got “schooled”. 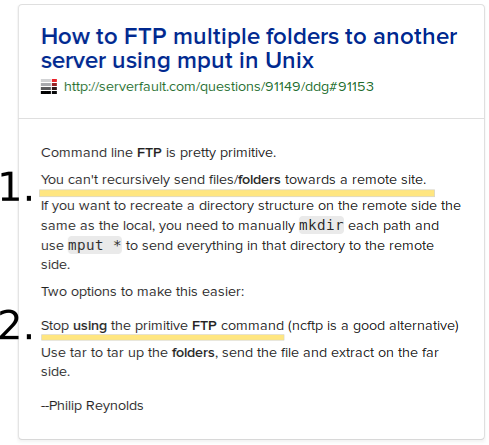 1: I learned I can’t recursively ftp directories. 2: I learned that there’s a better way to do what I need. Alrighty then! How sweet online education can be.